Fill That Gap, an organization that sends volunteers to different parts of the world to provide inputs, share experiences and to work in organizations. It’s a synergetic and reciprocal relationship between the volunteer and the organization. 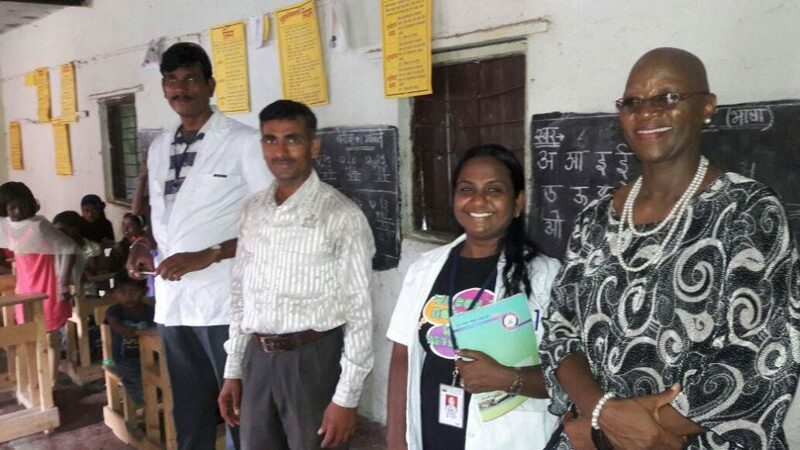 Tshegohaco Motsemme, RN, RM, BN, MPH, a public health consultant arrived in Pune, India on the 7th of September 2017 for a month to volunteer in Sahara Aalhad, an NGO that works in the field of health care using a community strengthening model. 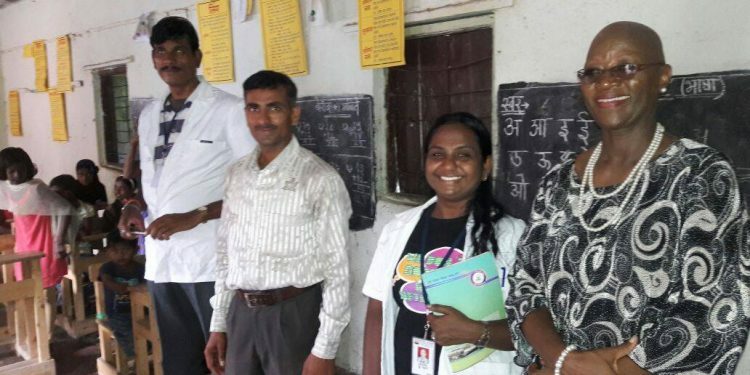 The assignment was, primarily, to do capacity building to empower staff to deliver services efficiently and effectively to improve quality of care/service. During the first week, the volunteer made observations of all the activities and the purpose behind them. In the evenings, Tshegohaco worked on presentations that were to provide the organization’s staff with information they needed to work on for better outcomes and efficiency. In addition, the participants and management, too, suggested some topics to be presented. Staff re-arranged their routine work activities to be done mostly during the mornings so that they free the afternoons for training. The last three weeks trainings were held every afternoon. In the mornings, the volunteer designed group discussion and documented the previous days outputs. The training was facilitated though lectures, group work, presentations and experiential discussions. Sahara staff took a lot of interest in the training as evidenced by their vocal participation during the lectures. Group work was designed in such a way that it generated discussions that would provide ways of improving quality of service. The only minor challenge was language and an interpreter was required all the time. Understanding and comprehension wasn’t an issue during the sessions and the participants verbalized having learnt a lot and were requesting for Phase 2 of the training. Away from work, the Sahara team entertained Tshegohaco and gave her a generous experience of the famous Indian hospitality with outings for shopping, fine dining and music and culture. On the last day, Tshego, as she began to be fondly addressed said goodbye to everyone connected to the project and promised to stay in touch.